Let us know via email only if you wish to apply for tickets for August to December 30. 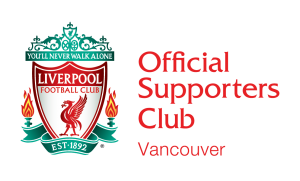 – You must be a member of LFC Vancouver. – Home premier league games only. – Everyone who gets a ticket must have a valid full or light membership card from LFC. – All requests cannot be guaranteed so don’t go booking flights and then getting upset if LFC do not allocate you any tickets. – Dates and times of matches are always subject to change for fixture clashes or tv schedules. Gary Neville believes Chelsea should regret selling Daniel Sturridge to Liverpool. Brendan Rodgers held a press conference on Monday to look ahead to our Capital One Cup clash with Notts County – and LFCTV Online subscribers can now watch the whole briefing on demand. Frank McParland today described Jordon Ibe’s promotion to the first-team squad as ‘like winning a tournament’ for the Liverpool Academy. Brendan Rodgers has revealed why Liverpool forward Fabio Borini will not be leaving the club on loan, provided the latest transfer news with a week remaining of the window and explained why he will pick a strong team to face Notts County.